Order from Gryphon Books for Writers. Learn to use these critical fiction-writing elements to give dimension to your characters and direction to your plot. Plan a road map to keep your story on track. Discover why your scenes aren't working and what to do about it. "This book belongs on every fiction writer's bookshelf. Anyone who has ever had a story to tell and is dying to get it down on paper will find guidance and inspiration in GMC. 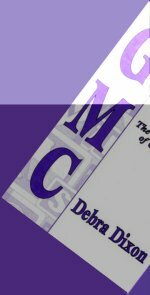 The presentation is clear, immediate, and relevant to all writers--from novices to seasoned professionals. 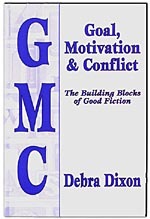 Experienced author Debra Dixon has done a magnificent job of demystifying the toughest aspect of fiction writing: that of a giving a story shape, form and urgency." -- Susan Wiggs, RITA® Award winning author of over 40 novels and novellas. This website designed and maintained by NovelTalk. Last Updated on January 19, 2012.